While Hurriyat leaders and separatists have been telling Kashmiris to not send their children to army-run schools, alleging that these institutions were wearing the next generation away from their religion and culture, the family members and children of many of these have got the best education, settled abroad and eventually led a luxurious life. Nayeem Geelani, son of Geelani, who, a few days back, had blamed the army-run schools for indoctrination, is a medical practitioner in Rawalpandi, Pakistan. His other son, Zahoor, is a crew member of private airlines in India. Geelani's daughter is a teacher in Jeddah and her husband is an engineer there. Mohammed Ashraf Sehrai, a general secretary of the Geelani faction, also availed the best education for his child. His son, Abid Sehrai, is a computer engineer in Dubai. Ghulam Nabi Fall, the cousin of octogenarian separatist leader, and Rabia Farooq, sister of Mirwaiz Umar Farooq, a doctor, live in London. Rooma Maqbool, son of the head of Mass Movement Farida Behanjee, lives and works as a medical practitioner in South Africa. Iqbal and Bilal, sons of the head of the Jammu and Kashmir Democratic Liberation Party Hashim Qureshi, live in London. Sarwar Yaqub, son of a spokesman for the Geelani faction, Ayaz Akbar, is a management student in Pune. Two sons of another leader of the Geelani faction Abdul Aziz Dar - Umer Dar and Adil Dar - are studying in Pakistan. Moreover, Mariyam Andrabi, sister of the head of the radical Dukhtran-e-Millat Asiya Andrabi, along with her family lives in Malaysia. Asiya wanted to send her elder son to Malaysia for further studies, but he was denied a passport. Asiya's elder son Mohammed Bin Qasim was pursuing Bachelors of Information Technology at the Islamic University of Malaysia and now is in Australia for further studies. Earlier, Hurriyat hawk Geelani said, "We are losing our next generation. We should never send our youth to these institutions. We need to see what sort of education these institutions are imparting to our children." 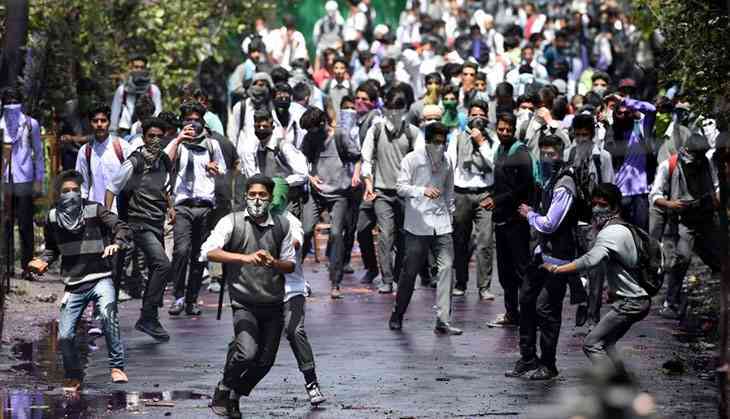 In an apparent reference to their efforts to integrate Kashmiri students into the national mainstream, the Hurriyat hardliner claimed the army-run schools were engaged in "mischievous activities." The Bharatiya Janata Party (BJP), however, decried Geelani's diktat, claiming the Hurriyat leader was scared of the army schools as they promote a "sense of nationalism" among Kashmiri children. These statements come in the wake of a string of clashes between students and the security forces during which many innocent civilians were injured.